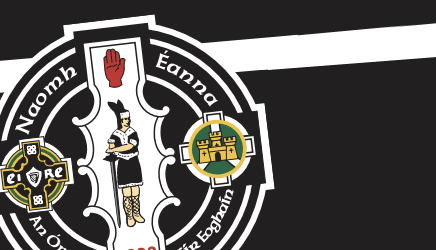 Championship Sunday – All roads will lead to Fintona this Sunday for the senior championship quarter-final clash with Eglish. Throw-in for the game is 3pm and club supporters are encouraged to get to the grounds early to support the team in this important game. League wins – The seniors recorded another morale boosting win last Sunday in the league with a 1-16 to 1-9 victory over Ardboe. The Reserves also notched up another win with a 0-11 to 0-8 win over the lough shore men. Their next league game is against Dromore on Friday week. Games schedule – Our youth teams are also in action over the next week with the girls U12 football team away to Beragh this evening (Thurs) while the U14 hurlers play Naomh Colum Cille in a reschedule league game in Healy Park this evening (Thurs) at 7.30pm. On Saturday the U16 boys team are at home (St. Patrick’s Park) to Cappagh in the Grade 1 league at 12 noon. The U16 girls travel to Strabane for a 2pm game with Sigersons. On Tuesday next the senior ladies are in league action away to Donaghmore (7.30pm) while the U14 hurlers are away to Carrickmore in the league. Next Wednesday the U21s travel to Pomeroy for their championship semi-final with Clonoe while the U16 boys teams have home games against Dromore (Grd 1) and Killyman (Grd 4). Coaching for U16 boys football continues this evening (Thurs) in St. Patrick’s Park from 6pm – 7.15pm with U14 hurling from 7pm – 8.15pm. Camogie coaching resumes in St. Patrick’s Park on Friday from 6pm. U16 girls football from 5pm. Coaching for U8 and U10 boys resumes this Saturday morning from 10am in St. Patrick’s Park. U8-U10 girls coaching on Wednesday from 6pm. U12 boys football on Friday at 6.30pm. Sympathy – Sympathy is extended to the Meyler family on the death last week of John Meyler (Snr).